Do you have what it takes to run a colony of human beings as they try and survive a long time ago, in a galaxy far, far away? Would you describe yourself as a United Federation of Planets kind of governor? Or more of a Weyland Yutani? Can I even remember why I’m asking such ludicrous, reference-soaked questions? 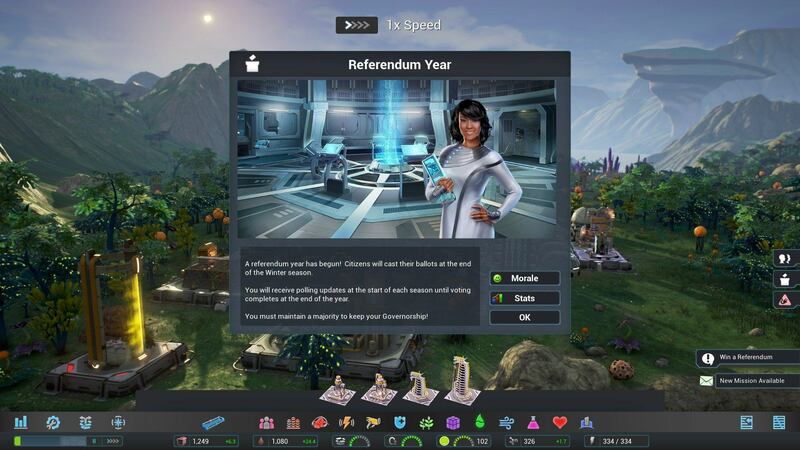 Oh, right: running a colony of humans on behalf of an intergalactic federation is the primary aim of Aven Colony, brain child of the appropriately named Mothership Entertainment. 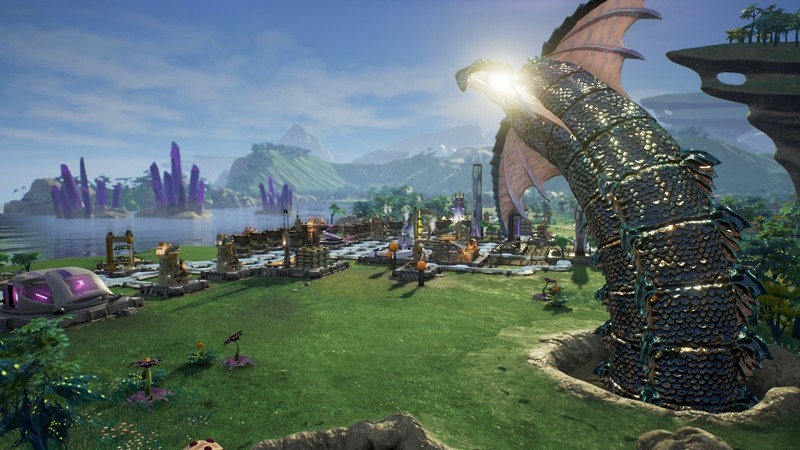 Described as a “city-building, sci-fi, strategy, and indie game,” Aven Colony can be neatly summarized as what would happen if Sim City mated with Zoo Tycoon and then shot off into the cosmos to have its offspring. So what’s it all about? 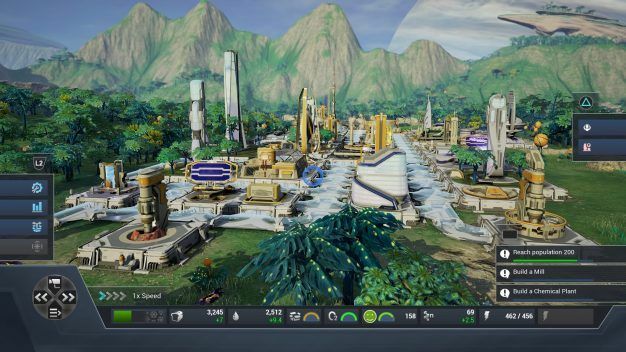 After a brief introduction to the basic controls, the campaign element of Aven Colony kicks in, as you’re tasked with building a high-tech settlement on an unknown planet that’s large enough to support a History Museum. A constant stream of objectives keeps the uninitiated on track by suggesting what to build and when to build it; I was glad to see that these objectives were not mandatory, although their completion often gave you free building materials or supplies. Accommodation, food/water, and power are fundamentals, as are the drone workers that construct the many potential buildings at your disposal. Build trading hubs or immigration centres to interact with the Aven mothership in orbit above your head, bringing in supplies and settlers respectively; keep your population entertained and healthy with shopping centres, hospitals, and police drones. Your population will automatically slot into any available employment, and can be directed toward certain sectors if – for example – you’re running low on farmers. Watching the ants scurry by. Your Aven Colony relies upon nanites to survive. The futuristic building material is like currency, to be consumed when constructing new structures, and must itself be built with mine-able ores like iron or copper? Structures must be connected with transparent tunnels, and all can be upgraded to maximize efficiency. Nanites are also a commonly traded commodity, so amass a ton in order to trade with the mothership for food. 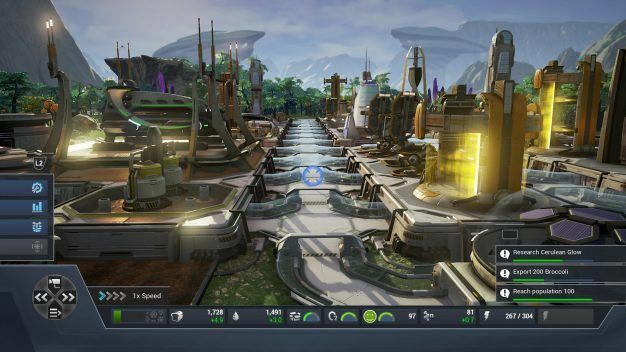 Beyond the construction aspects of Aven Colony, you’ll have to keep an eye on population happiness, which is affected by a dauntingly long list of factors. Make sure to build plenty of tunnel routes, or they’ll complain about the commute to work; build air purifiers, or they’ll moan about their slow and torturous suffocation. Annual referendums must be won by a majority in order to avoid political chaos, and though you can enforce a variety of prerogatives as colony chief, be warned: if you enforce overtime at work, expect general unhappiness and possible riots. 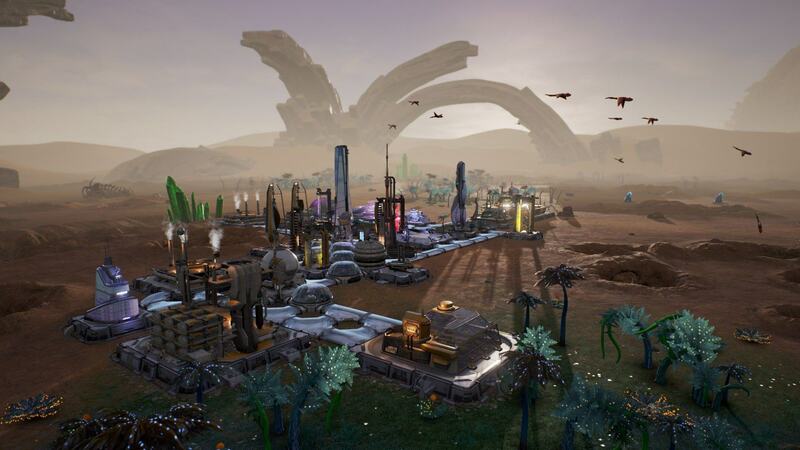 The full Aven Colony campaign features progressively more challenging environments in which your colonists must survive, introducing late-game objectives like planet exploration and the acquisition of alien technology. 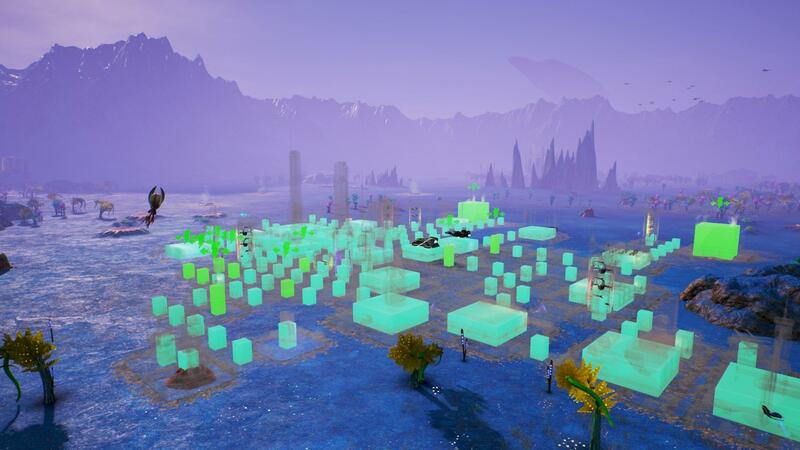 If structure and prerequisite is not for you, however, fear not: the game also features a sandbox mode, which allows you to go wild on a planet of your choice. 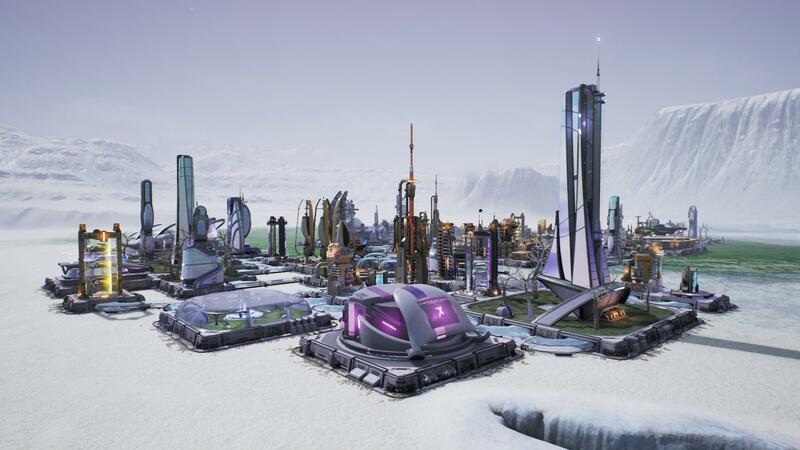 Aven Colony also happens to look pretty darn attractive, as I’m sure you’ll have noticed from my unfortunately low-resolution screenshots; I’m a particular fan of the annual cycle, which brings a frosted screen and snowy terrain (as well as lightning storms and reduced productivity) to an otherwise vibrantly cheerful game. The rendered world holds up well at a distance and up close, and although the tiny humans tend to be overlooked their scurrying movements and random outbursts of conversation have had at least a bit of thought. … mighty things may grow. 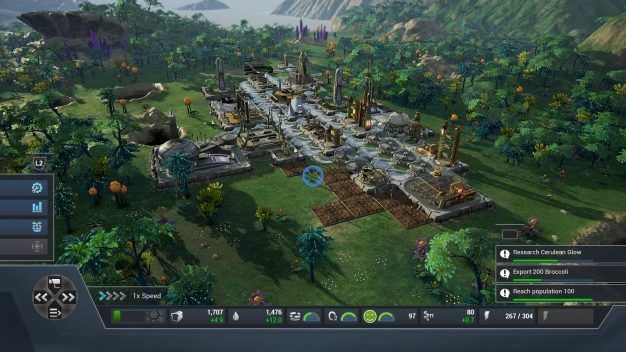 I had an awful lot of fun keeping my Aven Colony from disrepair, and was particularly pleased to note that things spiraled out of control even on normal difficulty at an alarming rate. If you enjoy this sort of strategy game, I’m sure you’ll devour the campaign. But even if you don’t usually stray too far into indie territory, all I can do is assure you that this intricate little gem is certainly worth consideration.